Writer Brian Maruca (Afrodisiac) and co-writer/artist Jim Rugg (The Plain Janes, Afrodisiac) have an action-packed April/May this year: an Image Firsts edition of AFTER SCHOOL KUNG FU SPECIAL, all-new tale STREET ANGEL GOES TO JUVIE, and a Free Comic Book Day offering called STREET ANGEL’S DOG will be released within a 10-day span. Image Firsts: STREET ANGEL #1 brings the action-packed punk-rock story of AFTER SCHOOL KUNG FU SPECIAL to comic shops everywhere in a standard comic format for just $1. A perfect and low-cost introduction to the world of Jesse “Street Angel” Sanchez (the deadliest girl alive), Image Firsts: STREET ANGEL #1 hits comic shops Wednesday, April 25th. 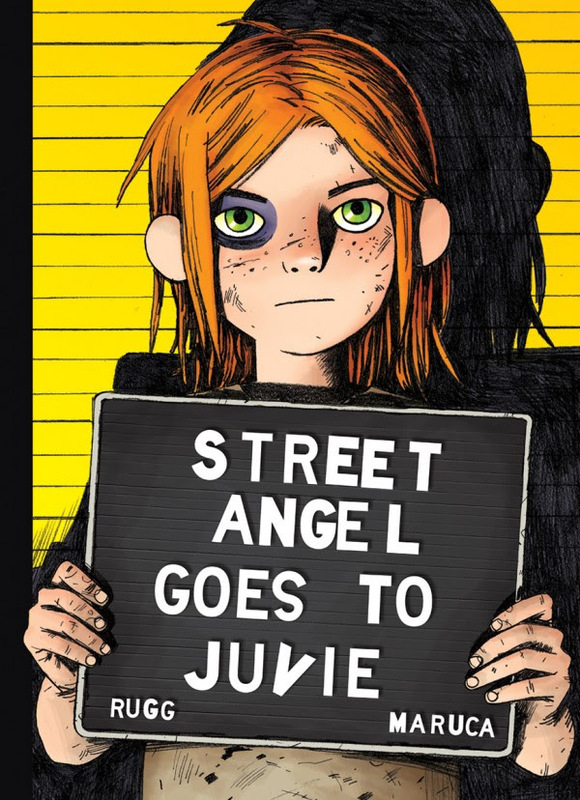 In STREET ANGEL GOES TO JUVIE, Jesse “Street Angel” Sanchez (a.k.a. Shiraz Thunderbird) gets pinched and has to do a stretch in Alcatraz, Jr., Angel City’s infamous juvenile corrections center. But for our homeless heroine, the prospect of three square meals a day and a warm, dry bed is nothing to sneeze at. Plus, she meets a girl gang, besties a superhero sidekick, pushes the lunch lady to the limit, and watches Harriet the Spy! Will juvie break Shiraz Thunderbird, or will she break out of Alcatraz, Jr.? STREET ANGEL GOES TO JUVIE (ISBN: 978-1-5343-0800-8, Diamond code: MAR180625) is presented in a full-color hardcover and will be available in comic book stores Wednesday, May 2nd, and bookstores Tuesday, May 8th. The final order cutoff deadline for comics retailers is Monday, April 9th, and the book can be pre-ordered via Amazon, Barnes & Noble, Indiebound, Indigo, and Books-A-Million. What happens when the deadliest girl alive meets man’s best friend? A rampage, of course—of fun! They play dress-up, skateboard, fight ninjas, skateboard, fight monsters, race robot cars to the death, fight bullies, and teach each other the value of family. 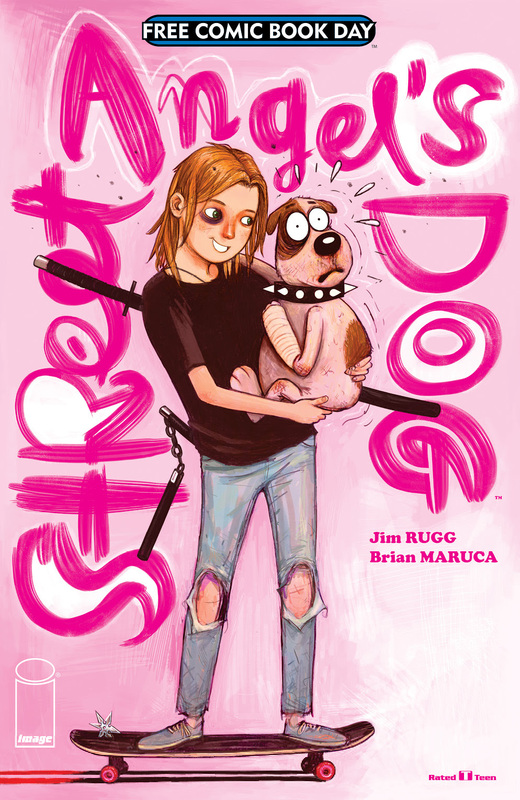 On Free Comic Book Day, which falls on May 5th this year, fans can pick up a free copy of STREET ANGEL’S DOG at participating comic shops while supplies last.